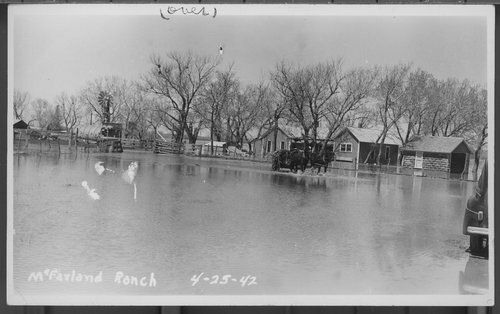 This photograph shows a man driving a horse drawn wagon through flood water on the McFarland ranch, Gray County, Kansas. The flood water came from the Arkansas River. At the time this photograph was taken, the flood water was in the McFarland house and the family was living in a brooder house.